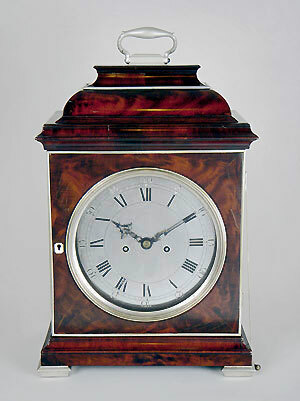 This is a mahogany bracket clock with a silvered dial built in the third quarter of the 18th century by eminent clockmaker John Ellicott of London (clockmaker to King George III). 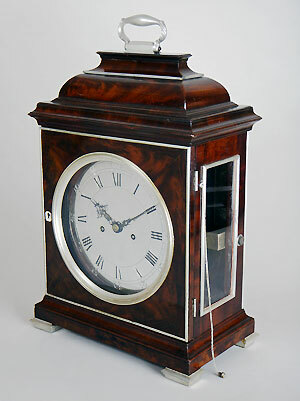 The inverted bell topped case is surmounted by a silvered handle, with a well moulded cornice over glazed rectangular side panels on a plinth base and silvered bracket feet. 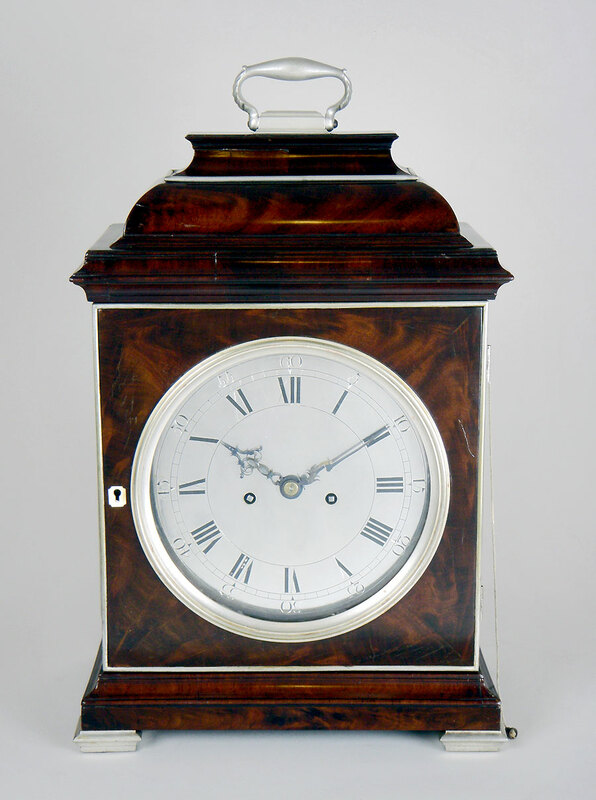 The signed eight inch Roman and Arabic dial has original steel hands and a strike/silent switch. 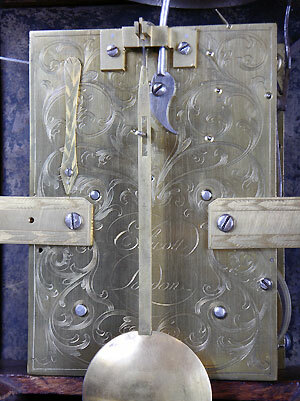 The twin fusee movement, with five knopped pillars and early conversion to anchor escapement, is rack striking on a bell and has a pull-repeat. The backplate is profusely engraved.